Episode 4×14 “Reunion” — Ivy (guest star Peyton List) picks her next target, leading Gordon and Lucius back to an old friend, as Selina tries to take matters into her own hands. Sofia wants full control of Gotham and turns to Lee about the state of the Narrows. 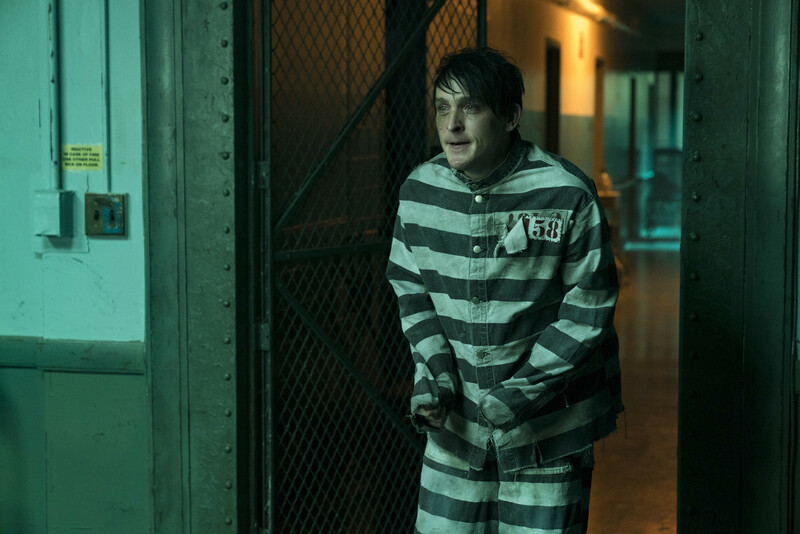 Meanwhile, Bruce tries to make amends with Alfred, and Nygma visits Arkham. Cast: Ben McKenzie as Detective James Gordon, Donal Logue as Harvey Bullock, David Mzouz as Bruce Wayne, Morena Baccarin as Leslie Thompkins, Sean Pertwee as Alfred, Robin Lord Taylor as The Penguin, Erin Richards as Barbara Kean, Camren Bicondova as Selina Kyle/the future Catwoman, Cory Michael Smith as Edward Nygma/the Riddler, Jessica Lucas as Tabitha Galavan, Chris Chalk as Lucius Fox, Drew Powell as Butch Gilzean/Solomon Grundy, Alexander Siddig as Ra’s Ah Ghul, Crystal Reed as Sofia Falcone. Guest Cast: Peyton List as Ivy Pepper, JW Cortes as Alvarez, Stu “Large” Riley as Sampson. Air Date: Thursday, March 15 (8:00-9:00 PM ET/PT) on FOX.